Stephen Brown’s Fairtree Assegai Fund has reached the five-year mark, with a net annualised gain of 25.79% since inception in July 2011. 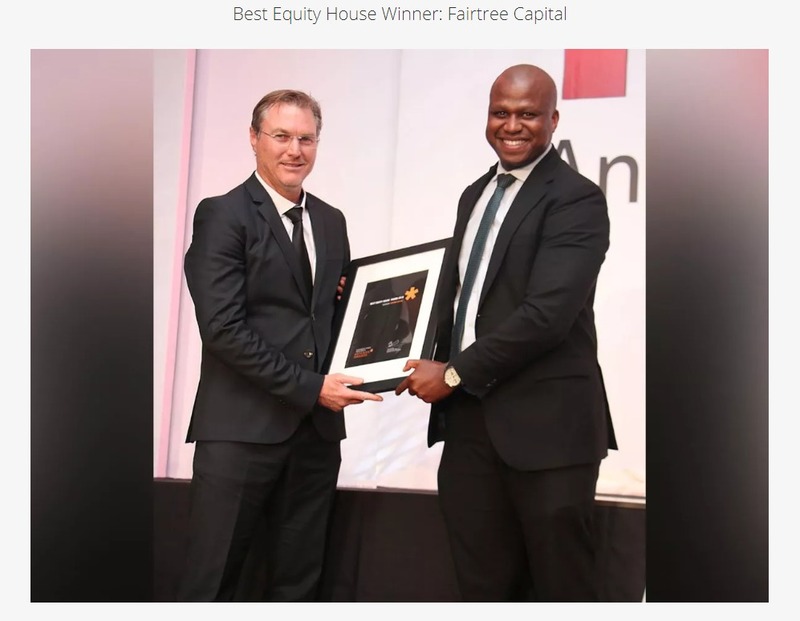 Fairtree Assegai has delivered double-digit returns each year since inception, including a net 31.24% last year and 26.07% in 2014. This year to the end of June, the fund has gained 14.62%, adding 1.5% in June’s highly volatile market conditions. Based in Fairtree Capital’s Stellenbosch office, Brown combines top-down macro analysis with bottom-up stock selection based on his indepth knowledge of large liquid counters. The fund is a directionally biased long/short equity strategy that seeks to identify and capture equity market beta when conditions allow for it. Its objective is to generate the largest portion of its returns through directional bias, in so doing capturing 60% of the market’s upside return, while protecting against 60% of the downside. Before joining Fairtree, Brown developed a strong track record as a long-only fund manager at RMB Asset Management, which he joined in 1997. He has a B Comm, MBA and a CFA, working in various teams during his time at RMB (see HedgeNews Africa, July 2011). Brown uses relative-value pairs, together with absolute longs and shorts, to seek to stabilise returns in turbulent market conditions, supported by adjusting net exposure. Leverage is on average at two times and net exposure varies with his view of the market. Brown says the fund has been short resources for a couple of years, but this year he identified “upside risk” building in the resources sector. Hedging the book through gold equities has also played a role in decidedly uncertain times for the market, with the fund holding gold equities as standalone investments as well as net gold positions uncorrelated to the asset class. The fund has also picked up exposure to platinum equities and diversified mining companies. Brown notes that South Africa’s benchmark indices don’t reflect the full story of the equity markets this year. While Johannesburg’s top 40 Index is just 1.6% higher to the end of June, some individual counters reflect exceptional performance, with global gold producer Anglogold up 176%, Harmony Gold up 280%, Kumba up 200%, mining giant Anglo American up 113% and Amplats 110% higher. Amongst industrials and financials, supermarket operator Shoprite has gained 30% while Standard Bank is up 15%. Conversely, stocks with exposure to the UK have been under pressure post the Brexit vote, with property company Capital & Counties down 45%, investment holding company Brait down 27% and financial services firm Investec 20% lower. Cement supplier PPC has lost 50%. Brown has about 60-65 stocks in the portfolio at any given time, actively resizing positions to lock in gains and avoid volatility. He expects many of the same factors at work so far in 2016 to continue driving the equity market in the second half. Brown expects that the rate-hiking cycle is largely over for now, with South Africa’s Reserve Bank leaving the benchmark repo rate unchanged at 7% this month after raising rates in January and March. He also expects the currency to weaken further from around R14 to the US dollar in late July. 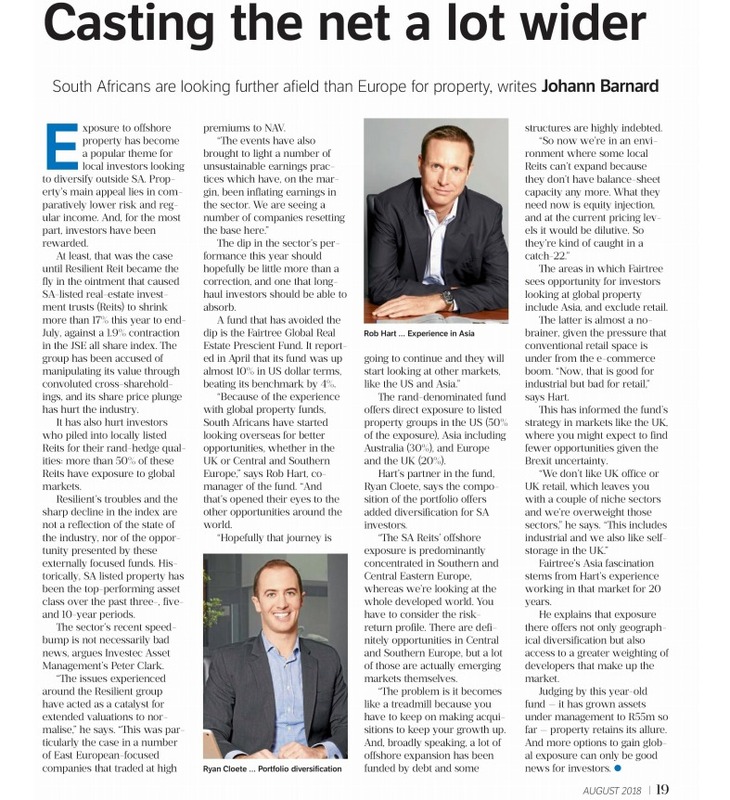 While South Africa still faces a potential ratings downgrade this year, he believes that has to a large extent already been priced into the local market. Brown is now managing a total of R1.7 billion in the strategy, including the fund structure on the MAP platform and allocations via the Fairtree multi-strategy funds. He will look to soft-close shortly to preserve performance and re-assess the opportunity set. Besides the hedge fund strategy, Brown also manages R18 billion in long-only assets, together with co-manager Cor Booysen. The strategy has also performed well over time, ranking third amongst South African unit trusts since inception in November 2011.